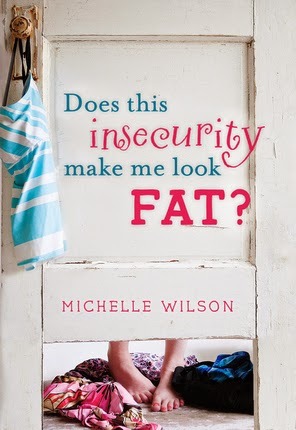 I promised Michelle Wilson ages ago that I would review her book DOES THIS INSECURITY MAKE ME LOOK FAT? To that end, I read the book and loved it. It was about this time that Blogger began to take exception to the web browser I was using and wouldn’t let me post. I solved this problem by posting from my husband’s computer, but this was unhandy. That and my challenged memory cells made it so little blogging was done, and the review wasn’t done. I changed web browsers and the problem was fixed. Now I could post the review. That was about the time that the water main broke and flooded the office. We packed up everything, including Michelle’s book, and it has been sitting in the garage for about three months while we waited for the flooring to be redone. So, tonight I began putting my office back together and found Michelle’s book. Finally, I can redeem my promise to her. Never mind it’s been about nine months since the book came out. It can do with another little punch. First, let me tell you about Michelle Wilson. She’s hilarious. She’s fun. But she’s also deep and able to articulate things that are serious and solemn. You’d never suspect that she has an insecure bone in her body. She confesses in this book that she does, even though, if you’ve met her, you find that hard to believe. But when she starts telling you about her insecurities you think, “She’s just like me!” This beautiful, vivacious, talented, compassionate person has the same self doubts that I do. What makes this book so great is that it rings true. Michelle is Everywoman, and through the stories of her journey—a journey she’s still on—we find strength and hope for our own journeys. Michelle’s book is divided into two parts. Part one is called “Learning to see.” It’s about perspective, and she names the first chapter “All the Little Leaves.” She tells the story of her first pair of glasses when she was in grade school and how, when she walked outside with them on she was amazed to see that trees had individual leaves. Throughout the first part of the book she helps us understand that it’s important that we see things correctly. This is a book to be read in the nooks and crannies of our busy lives. Read a few pages over lunch, or while you’re waiting in the dentist’s office. You’ll smile. You’ll nod in agreement. And you’ll go about the rest of your day with a lighter step. I was furnished a copy of the book to read and review, but the fact that I didn't buy the book did not color my opinion. This is a valuable book. You can get it at Deseret Book.What's more, it's on sale right now. Spider is back! And he’s driving the Yugo again! 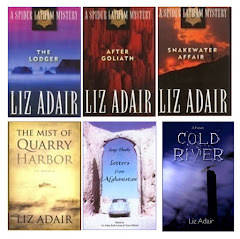 I’m announcing the launch of my newest book and fourth in the Spider Latham series. 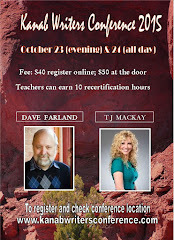 TROUBLE AT THE RED PUEBLO is set in the Kanab UT/Fredonia AZ area. 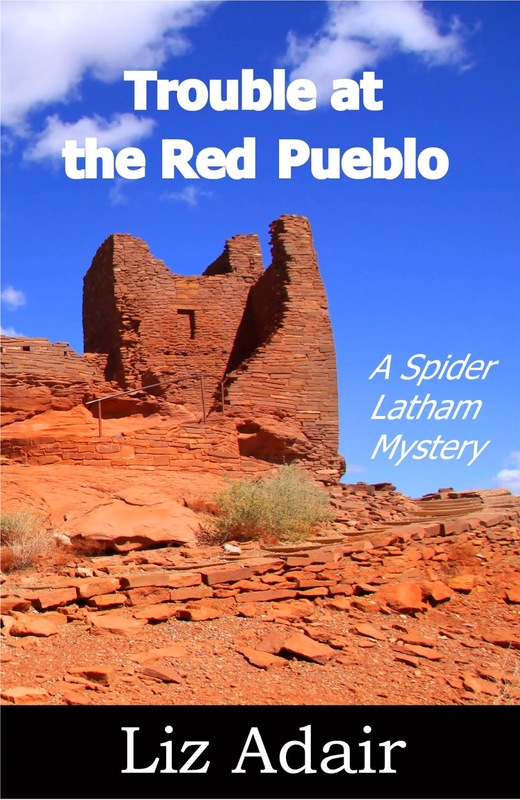 When Deputy Sheriff turned private investigator Spider Latham is sent to help the Red Pueblo Museum, he doesn’t suspect it will cause a rift between his wife, Laurie, and himself. Museum Director Martin Taylor is desperate, and his son Matt is angry. Some unknown person is bent on destroying the museum financially and is about to succeed. Things turn violent. 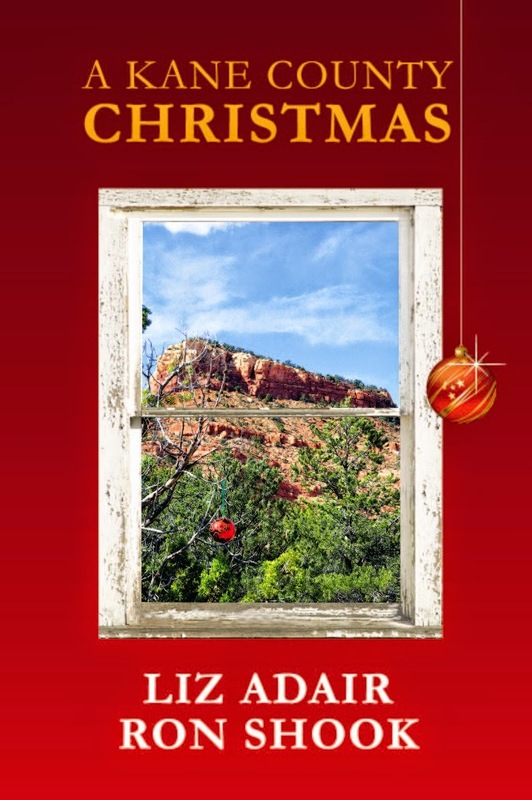 It ends with someone’s skull bashed in with an Anasazi ax, and everyone has motive for the murder. 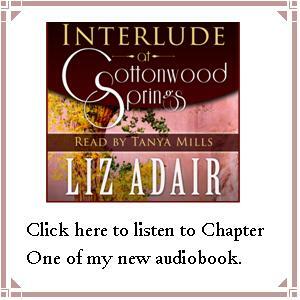 Can Spider untangle the web of secrecy and lies surrounding the museum before the Taylors lose it all? And in the process, can he save his own marriage? The book is available at Amazon in paperback and Kindle, at the Nook store on Barnes and Noble, and on Kobo. 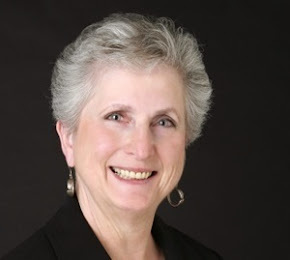 My launch party will be at the Red Pueblo Museum in Fredonia AZ on July 30. If you’re in the Kanab UT / Fredonia AZ area, come by at 7 in the evening (AZ time—it’s 8 PM Utah time) and see the museum that is the setting for the book. I hope you’ll enjoy meeting Spider again. For me, it was like seeing an old friend I hadn’t seen in years and picking up the threads again.